The last EP one of my bands released, titled Enjoy Your Cat & Your Loneliness was another example of me wanting to push the envelope and do something totally crazy and unheard of in our local music scene. Luckily, my guitar player and now-wife Jessica and bass player and good friend Danny didn't tell me no. Well, Danny said he didn't want to do any of the physical work involved in making these, so he only gets half credit. 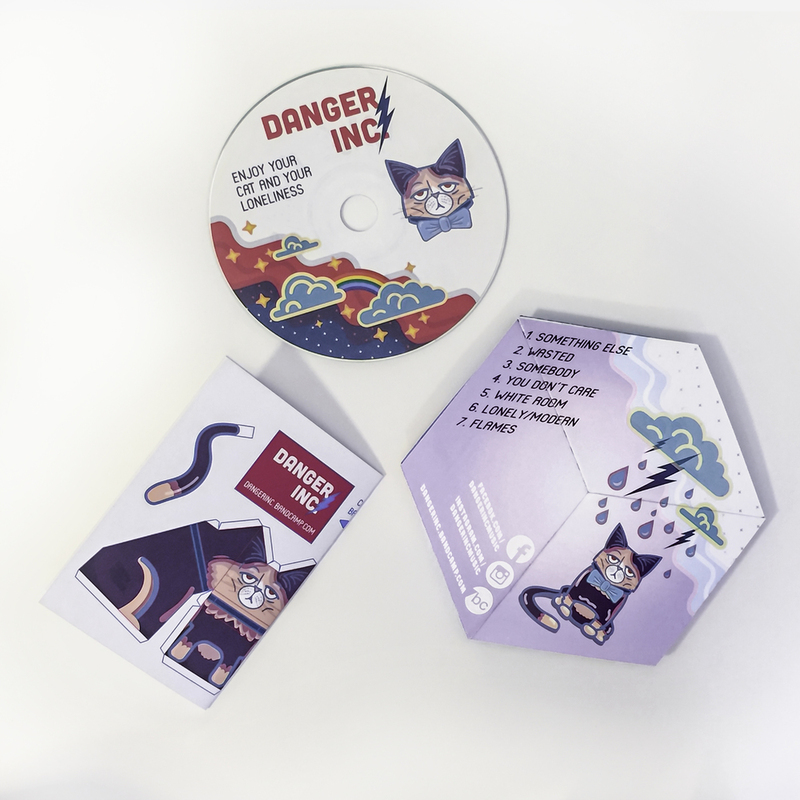 I found a way to design the cd packaging in an origami-sort of way that would save us a ton of money by not getting legit (read: boring) jewel cases printed, although we had to build each copy by hand with glue sticks. 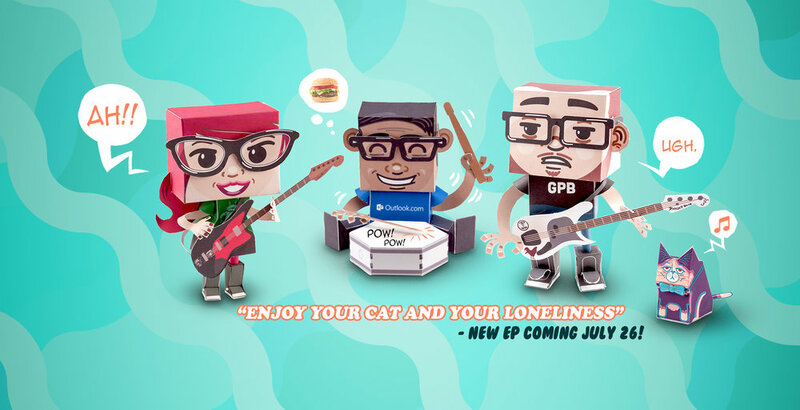 During the key art development, I thought it would be cute to design us in paper-craft form. That, along with a fictitious cat to accompany the album, we built the whole look and feel for the album and merch, and released the album at a big pop-punk music fest in San Diego, which was super well-received by our fans and friends. The album even got a great write up in a credible music blog (half of which was about the packaging alone).